Stop the presses. After the day I just had, I cannot do another happy Sheep & Wool blog today. 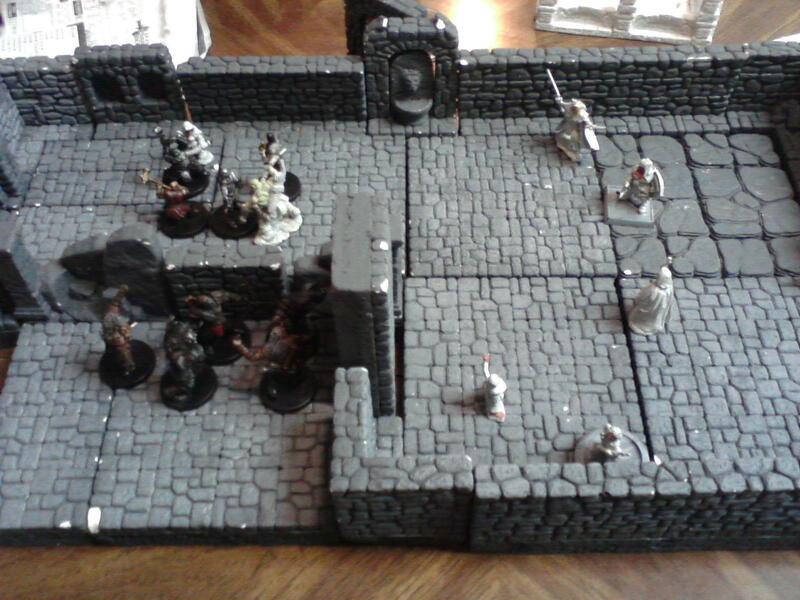 Last night, we left our dungeon master’s house around midnight, as is our usual Monday night routine. The scene had faded to black in the midst of an epic battle, carried on to the sounds of thunder on a stormy night in late spring. My halfling rogue is the upper-left-most character in the picture below. When we got home, we found ourselves in a sadly less fictional battle. That same thunderstorm that had lent ambiance to our fight against an evil dwarf clan had left about an inch and a half of standing water in our basement storage. And puddles in the bathroom. 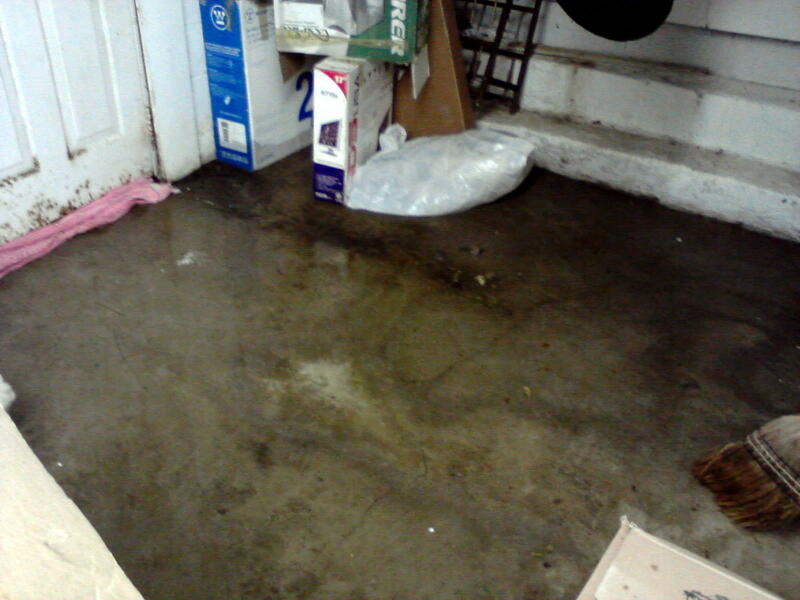 And wet spots seeping up through the carpet under the stairs. All in all, it could have been much worse. We were up ’till 2:30, bewilderedly trying to rescue things and assess what we had to move. We knew flooding was always a possibility (though we’d been assured it would not be to this magnitude) so we had been at least sort of careful. The biggest loss was the two boxes of binders that housed all our notes from semesters past. It was hard to throw away that sodden mess – especially the handwritten papers from my semester in Mexico sans electricity. But let’s be honest – the vast majority of that was dead weight that we’re glad to not have to move. The scariest box to find was my box of journals. I’ve been journaling consistently since age 14, though the last couple of years have fallen off. In my 2 a.m. delirium, trite metaphors about hanging on to one’s past kept buzzing through my head, but I was going to save these if it was possible. It was really something, laying out the entirety of my reflective life on towels before a feeble space heater fan. To my relief, most of them were salvageable, since the covers soaked up most of the moisture, and they were tightly packed. Mercifully, the old Bible studies I was inexplicably keeping were on the bottom of the box. Only one volume was truly ruined. Some brief detective work showed it was from the winter and spring of 2007 – just about the time I was falling hopelessly in love with my someday husband. The hints of the sincerity and hope from between the bleeding pages brings me back to a very different time, when life had so much more anxiety and idealism. I don’t regret the intervening years, or the ways I’ve had to grow and change. But when I look back at the innocence I used to have, younger me looks just a little tragic. Oh well; I know she’ll live. So we have fallen prey to the notorious Ambridge basement, and we’ll be more careful next time. All the wet stuff has been moved, and we are making arrangements to move the dry stuff that will no longer fit in the wet storage into the new place, which has a reputation for much better drainage. I am so glad we’re renting. Made my pin just look deadlier. Score. Your water logged journal does have cool colors, though.